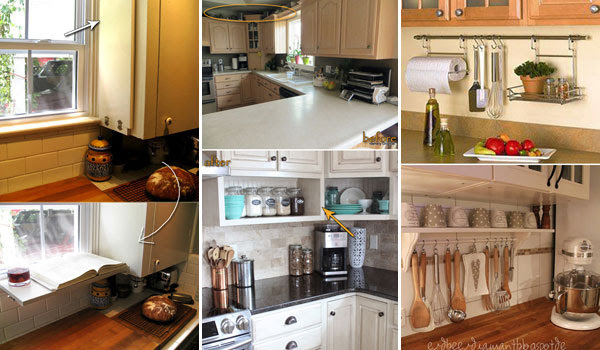 I was so excited to see this post from Woohome outlining 21 ideas to declutter your kitchen countertops. 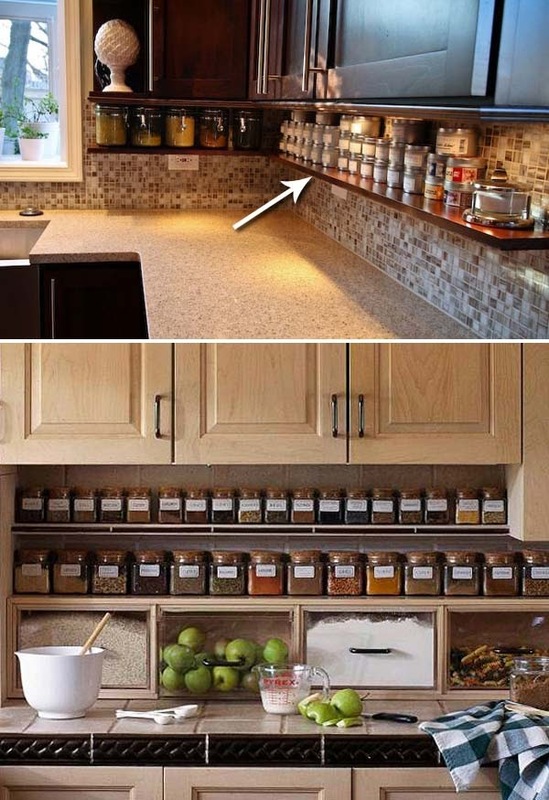 What a great idea for your spices! I also love #10, installing a flip down shelf. This shelf would also work great in a craft room!